Located just south of Long Point is Hen Rock Cove, featuring 25 moorings and anchorage for 40, with lots of fun reefs to explore and abundant sea life. Hen Rock is one of the best snorkeling and dive sites on Catalina Island. 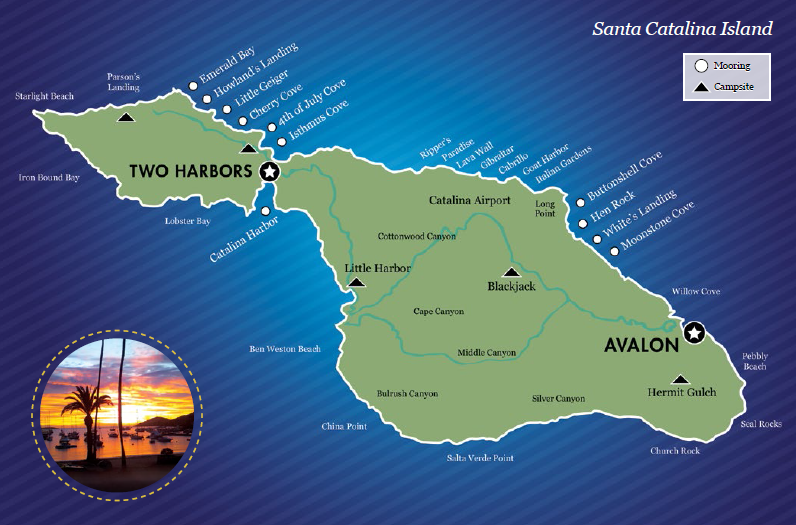 On-shore facilities are leased to the Balboa Yacht Club. White's Landing and Moonstone Cove are east of Two Harbors past Long Point. Combined they have 56 moorings and anchorage for 50. White’s Landing offers one of the nicest and most expansive beaches on the Island. The Newport Harbor Yacht Club has on-shore facilities at Moonstone.